On Friday, May 5th Founder Amy Albert, board members and supporters came together for Haven’s First Annual Gala at 201 Montgomery Street in Jersey City. The space provided by Silverman at Charles & Co. was filled with celebration for Haven Adolescent Community Respite Center’s first year of development. Attendees enjoyed food by Mambo Ray, and witnessed the honoring of Youth Community Advisory Board Members Kimberly Goycochea and Mussab Ali, and Jersey City Anti-Violence Coalition Movement Founder Pamela Johnson for their support and efforts that has positively impacted Haven’s progress. Haven has been bringing youth together to discuss matters that concern them through the Cook.Eat.Talk. During Cook.Eat.Talk. events the youth are given an opportunity to prepare a meal, and engage in conversation concerning issues that effect their ability or inability to live without pressure or fear. Haven will be opening the doors of their respite home, which will provide a safe haven for up to five males for a ninety day stay, this summer. During the stay the youth, and their family, will be provided resources from various agencies in their community and will serve as the safe place that will help alleviate the pressures families face when raising teens that are experiencing their own crisis. 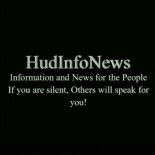 This entry was posted on May 24, 2017 by HudInfoNews in advocacy, Community, discussion, education, Information, jersey city, non-violence, organizations, police reform, public safety, rights, safety, solutions, Uncategorized, unity and tagged advocacy, children, gala, haven, news, parents, people, solutions, voice, youth.